The 2017 Chevy Tahoe Premier SUVs for sale in Naperville, IL at Chevrolet of Naperville feature 2WD and 4WD drivetrains, keyless open and start, front and rear park assist, OnStar with available 4G hotspot, an available rear-seat DVD system and so much more. With all it has to offer, it’s easy to see why U.S. New chose the Tahoe as its number one large SUV. 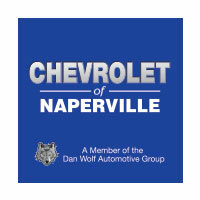 Explore our inventory of well-equipped Chevy’s here, then keep reading to learn why, whether it’s a Tahoe or a Bolt, Chevrolet of Naperville is the place to go. The 2017 Chevy Tahoe Premier SUV is loaded with all the amenities Naperville drivers could want, and Chevrolet of Naperville is committed to helping you find, afford, and maintain yours to keep those features in tip-top shape. Use our online tools to search for specials and explore the rebates and incentives designed to help you reduce the cost of your new SUV. You can even learn about the benefits of buying vs. leasing, calculate your payment, and apply for financing right from the comfort of your easy chair. When your vehicle is ready for service, bring it back and let our certified, factory-trained professionals get the job done right. While you wait, you can browse accessories in our parts department and customize your vehicle to reflect your personality and your active lifestyle. The one-stop shopping at Chevrolet of Naperville makes it easy to find, buy, and maintain the vehicle of your dreams your way. Contact us today to learn more.